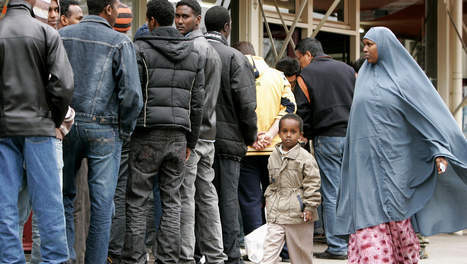 Fugitives of whom the appeal for asylum has been declined by Dutch courts can not always be removed from the country. They then often land up, right from the Centre for Asylum seekers, in the Dutch streets. Municipalities feel themselves called upon to provide them emergency shelter. The Minister of Justice, charged with the task of implementing the Aliens Act, prohibits them to do so. Judges on the contrary oblige local authorities to indeed provide shelter. Is not this a perfect subject on which one, on the basis of Levinas, should be able to say something sensible? Because this is exactly about the Other, if not in the shape of the Widow and the Orphan, at least then in the guise of the Alien? But what, based on Levinas, should one say then? Some, including the British sociologist Zygmunt Bauman, believe that taking seriously Levinas can mean but one thing. Namely, that our legislation actually is immoral, that our bureaucracy through the adage ‘rules are rules’ is amoral and that true justice can be found only on one side: that of the victim, in this case the asylum seeker. The absoluteness of the appeal of the stranger rids our law and its practice of all ethical quality. Justice in this case relies on rebellious councils and on aldermen who keep their back straight. Others point out that the absoluteness of the appeal of the Other in Levinas is accompanied by another motive: that of the third person, which in its turn is the other of the other. And that third person refers to the totality of all thirds, the whole of society with its institutions, jurisdiction, immigration laws and deportation centers. So here Levinas’ thinking establishes an actually impossible connection: that between the absoluteness of the individual appeal and the importance of good institutions. Personally I think that this latter, complex interpretation of Levinas does most justice to his thinking, as well as to the complex reality in which we live. On the one hand there is the demand for help from the Other, of which Levinas does not stop stressing its absoluteness. On the other hand there are the dangers of an attracting effect and of unequal treatment of asylum seekers, in short, the interests of an ordered society of all third parties which according to Levinas must be taken into account as well. In concrete terms this position means the following: the authorities should do what they have been appointed for to do, but whoever - spurred on by the encounter with an applicant – feels he has to, must diverge from the lines the authorities have set out. And the authorities may very well take notice of that resistance. For those who want one hundred percent ethical purity, like Bauman, such a position cannot be but unsatisfactory. I for myself however do sympathize with it. I roughly end up at the position the newspaper Trouw held in its commentary. "Sometimes there are individual emergencies (...) The occasional provision of emergency shelter really does not jeapardize the whole edifice". It is striking how important in this commentary is the role of relativizing words such as 'occasional' and 'sometimes'. 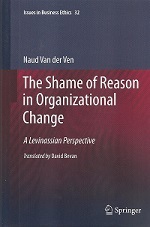 This is eminently pragmatic vocabulary and it raises the question to the position of Levinas among fellow philosophers. Because these in general are fond of unequivocality and universal validity of statements, and not of contingency. See for a discussion of that question my website.